If you ever loved a character that always wins, the bad guy always loses, then meet Jack Reacher. Ex MP in the army, he traves around the country just "to look around". Things just happen and Reacher always end up in the middle of it. 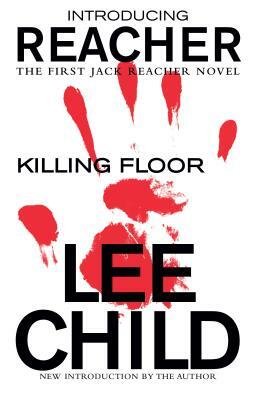 Lee Childs "jack Reacher is a hero we can all relate to. Read this series from beginning to end. Great read. Reacher is a step apart. Great book. Reacher's debut sets him up to be a force to contend with. VERY, VERY PLEASED. BOOK WAS IN FAR BETTER CONDITION THAN ADVERTISED. AND, IF AUTHENTIC, THIS BOOK IS SIGNED! AGAIN, THANX. The cover of this book was ripped almost off the front of the book. It was rated as Good but at best it was in Fair condition. A Friend got me started on the Jack Reacher series by Lee Child and they are all exciting and hard to put down. This book received as stated by Alibris seller.